We see smartphones everywhere. In school hallways, at the family dinner table and plugged in at the bedside table. Smartphones, tablets and unfettered Internet access connect us to faraway corners of the world and make life all the more convenient. But how young is too young for a Smart Phone? One Colorado man has decided that age 13 seems like a good cutoff for a smart phone ban, and has proposed a ballot to make it a legal reality. On a recent episode of All Things Legal, Craig Ashton and Tim Hodson took some time to discuss the proposed ballot. The details of the ballot calls for a complete ban of cell phones for youths younger than 13 in the State of Colorado. In February, a Denver-area father Tim Farnum began drafting a ballot for a smart phone ban. If passed, would make Colorado the first state in the nation to establish legal limits on smartphones sales to children. Farnum’s proposal, ballot initiative no. 29, would ban the sale of smartphones to children younger than 13. 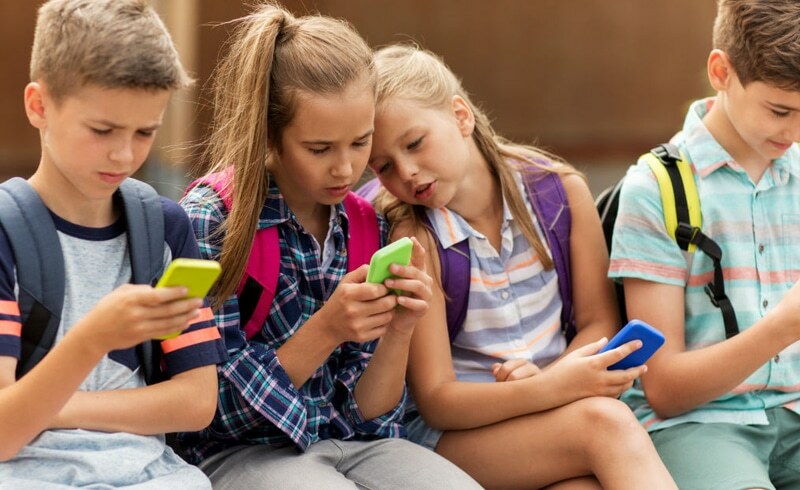 More likely, it would limit rights to parents who intend to give the smartphone to kids in that age bracket. The ban would require retailers to ask customers the age of the primary smartphone user. It would ask smart phone retailers to submit monthly adherence reports to the Colorado Department of Revenue. However, the question remains, is it possible for the State to obtain legal merit to dictate the constitutional liberties of smart phone ownership from a 13-year-old? If the ballot passes, then the quick answer is yes. Under the 10th Amendment, the state reserves the right to powers not delegated by the Constitution. But the real question is, does this ballot have enough support to pass? The idea has also ruffled feathers across the state. Colorado Sen. John Kefalas, D-Fort Collins, said he understands the reasoning behind the proposed law. However, he also believes it oversteps the government’s role in private family life. “I don’t think it’s the most effective way to deal with a real problem that our children spend too much time on the computer or too much time looking down at their phones,” Kefalas said. While kids can be vulnerable to misuse of technology because they are still developing self-regulation skills and social skills. Skills which ultimately should be overlooked by the guidance of a parental figure. The proposed Colorado initiative may be overdoing it in terms of regulation. Want to get in touch with us? Contact us today. We’re here to help you any way we can! PreviousThe Modern Age of Office Drinking	NextDoes the Communications Decency Act hurt people and businesses?